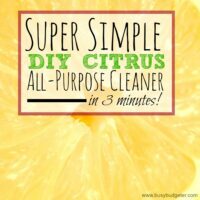 One of my best friends, Diona of Mommy Ways to Win, has super squeaky clean wooden floors. I forced her to spill her secret to clean wooden floors in today's guest post. This girl takes her mopping seriously! Enjoy! I'm one of those that wants to hear that squeaky clean. Be it rinsing the dishes till they squeak, all the way to the squeaky clean of freshly shampooed hair. I love the sound of clean. However, my floors were not bringing any music to my ears. Oh, I've tried different mops over the years. Remember the mops you could buy from the Lions' Club? I started out using the traditional mops you wring out by hand and it is absolutely awful on your cuticles! Good thing I had gloves about half of the time I needed to mop. Then there was a new-fangled mop with the micro fibers; and the mop head promised no more touching nasty mop water. The mop head itself was connected in two places, on the end of the handle and a plastic disc that when you turned it the mop head fibers would twist out the excess water. Our hands are saved from the yucky dirty water! It worked OK, until all the little fibers got tangled up in a huge knot and then wouldn't twist the water out of the mop head. Raise your hand if you jumped on the Swiffer bandwagon. I used the original model and had the dusting pads and the wet pads. The wet pads lasted for a minute before drying up. I would try to get my money's worth by flipping the pad over and mop like crazy till time ran out. I almost gave up on the idea of squeaky clean floor. I saw a commercial singing the praises of a steam mop. I was intrigued and checked it out. Whoa, sticker shock! $150?!?!? For a mop? Do you know what I could buy with $150? Fast forward seven months and I was still eyeballing this steam mop that refuses to go on sale. My husband finally calls my cheapskate bluff and buys us this new and improved steam mop that has a detachable hand held steamer. That's right… I said a detachable hand held steamer. We get it out of the box expecting to have to read a long instruction sheet and learn all the different buttons. Instead, my husband poured water into the reservoir with the little cup that was provided with the mop. He pushed the button and it immediately started steam mopping the floor and we were done 10 minutes later. It was that easy. We have hardwood floors in our living room extending into our dining room and linoleum in our kitchen with a half bathroom. I figured it took one cupful of water to generate the steam long enough to mop each room. I only used water to clean the floors of the whole downstairs and my floors were clean… squeaky clean. No chemicals were used to achieve this. My first thought was: no more headaches from chemical fumes! I have made the switch from harsh cleaners to vinegar and baking soda with the idea that it's safer with my toddler and more cost effective too. 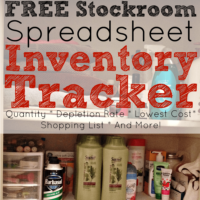 Not getting a headache every time I clean house is liberating. We're saving money by not buying any harsh chemicals to clean our floors. Bleach is about $2 – $3/ bottle around here and Pine Sol was around $3. I also found some Murphy's Oil Soap for hardwood floors priced at $4. Now if you are loyal to Swiffer you can expect to pay a whole lot more for the privilege of Swiffing. I'll never buy any of that stuff again though. No need for a bucket or using a kitchen or bathroom sink to mop. I don't have to wear gloves or an apron because I'm not using harsh chemicals. No worries about getting bleach on your favorite pair of yoga pants which I've done before. It's also one less thing you have to worry about storing in the garage because you can keep it inside the house, with no fumes. If I haven't convinced you to ditch your old school way of mopping yet, then let me tell you about another benefit. Your floor will dry in minutes. Seriously, it took maybe 3 minutes and my toddler was walking around on a completely dry floor. Over are the days of hiding out in another room or making your kids stay in their rooms for 30 minutes to allow the floors to dry. How much will I save with my steam mop? One gallon of bleach or pine sol per month is about $3 and Murphy's Oil Soap for $4 every 6 months comes to $44 a year. I'll made my money back in 3 years. Time spent NOT cleaning with a mop and bucket… priceless! Thanks for the review! I have been considering a steam mop as well so this was helpful. 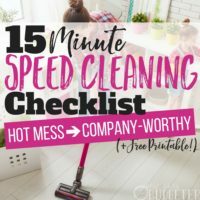 I had a steam mop, and I loved it! Unfortunately, it stopped making steam pretty early on. I wound up taking it apart and deep cleaning it, but it would only help for a day or two. I threw it out in frustration. Hopefully I’ll find another one soon. For now I just have dirty floors. Oh no! I’ve had really good luck with contacting the manufacturer when things like that happen. I can usually convince them to replace or fix the product. I’m sorry you had to deal with that though! Same thing happened to me. Won’t last long enough for pay back. I called Shark about my mom’s malfunctioning older model and they sent me a brand new more recent model at no cost. Amazing! When you say hardwood floors, do you mean “real” hardwood floors, or the interlocking laminated plank flooring that looks like hardwood but is actually laminated planks? I was told to never use a steamer on laminated planks because it can cause the laminate to lift. I noticed that if I used anything except a Swiffer Wet Jet on the laminated “wood” flooring in my last home, I would get the lifting issue. Yes I have real hard wood floors. I imagine the Swiffer is perfect for laminate. As a side note, I still own a conventional mop and the original Swiffer, I can’t bring myself to throw them away! This is talking about real hardwood floors Stephanie, but I think there are some steam mops that you can use on laminate, check with the mop manufacturer. Yes, a steam mop is terrible on laminate floors. It not only is bad for the grooves, it’s awful in the finish. I tried one and took the shine right off the floor. I’ve had to wax several times to get shine back. Also, I have painted the grout on our kitchen floor white, and it stripped the paint and that had to be redone. Be very careful what you put these mops on. I returned mine in 3 days. After the damage. That’s not fun! I’m glad that you were able to return it! Generally depends on how thick (so read quality) the laminate flooring is as well. You might get away with it on thicker laminate flooring! This steamer mop sounds like it too good to be true. The cost of all the Swiffer products we use, I could buy one of these steam mops in a few months. I will be keeping an eye on the Bissell one. Thanks the review! I’m glad you found the review useful! We love our steam mop! The hardest part is trying to remember to wash the pads from time to time. Thanks for the money saving tips. Growing up we had hardwood floors in most of our rooms. We had to take special care of them because we lived in the Northwest and the rain was always tracking in water onto the floor. We found that orange oil helped our floors repel water ever so slightly to keep them in tip-top shape. Smart! I’d never heard of that! Thanks for the tip! It all sounds great! I have hardwood floor and I need a mop that is easy to use and is an efficient cleaner. Thank you for sharing! I find it really helpful! 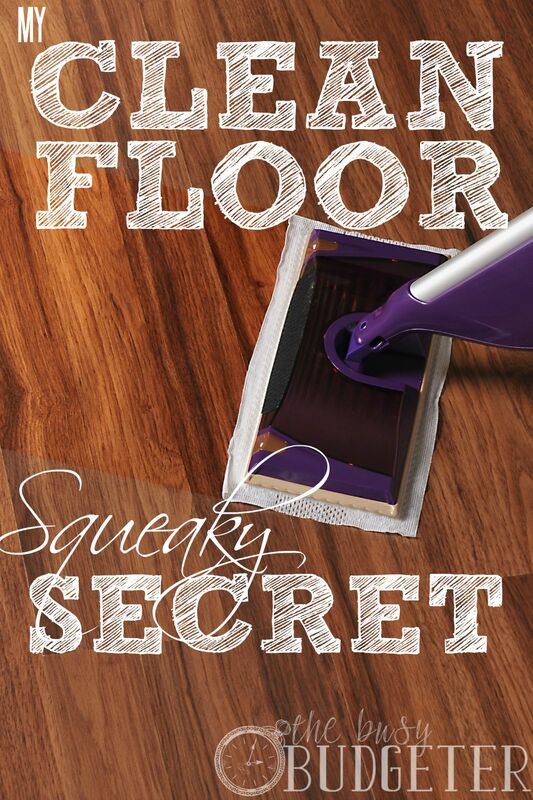 I really appreciate this information on how to clean hardwood floors. My mom has hardwood floors, so I have always wanted them in my home and I want to make sure they are well maintained. I like the idea you have of using a steam cleaner. I have never heard of that but I bet it would help keep the floors looking attractive. Thanks for the information! I am having brand new all hardwood floors installed in my house and I’ve been told to never use a steam cleaner on them. Not only would it ruin them over time, but would void the warranty as well. Maybe this is not such a good idea to promote for a lot of different kinds of floors, from hardwood to laminate…. As a hardwood rep I can tell you if you steam clean your floor you will void the manufacturer’s warranty. Wood and water do not mix. Shame on these steam cleaner companies who say you can use them on real wood. I am a professional house cleaner & I would never use a steam cleaner on ANY type of wood flooring. It damages the wood. However, with tile it’s fantastic. A steam mop will only work if the floors are sealed with polyurethane or something similar. Steam can ruin a wood floor that has an oiled or waxed finish. Read and follow directions carefully! Haan makes a great steam mop, sold on QVC, around $100 (maybe less) and well worth it. I love the Mohawk wood flooring! We’re currently selling our home, and Mohawk will be our flooring of choice when we buy the new one. Platinum Flooring Company is a full service hardwood flooring company, store and e-commerce site carrying solid, engineered and laminate flooring from all the best brands at affordable prices. Our catalog consists of over 8700 products from several brands, enabling us to cater to each and every home and place of business. When I click the link it goes to a vacuum, not a steamer….? I hadn’t heard of steam mopping before this article, but it seems really useful. I tend to get headaches when dealing with harsh chemicals as well, so being able to clean my wood floors with only water sounds like a dream come true. I might not get a steamer right away, but I’ll at least try switching to baking soda and vinegar to clean my wood flooring in the meantime. Thanks for the article! Taking care of a hardwood floor can be difficult. We had the same problem as you, after installing the floor, we didn’t know how to best clean it. We had also heard that steam mops did a great job, but were too cheap to buy one. Eventually, though, we gave in and now we use our steam mop every week. Silas Knight recently posted…Hello world! You can motivate yourself while cleaning with some good music though. Thanks for the informative post! 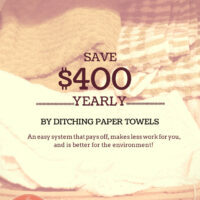 It will help many cleaning their house the best way they would have wanted while spending on right tool. Keep up the good work! Our floor is wooden too, and I often mop the floor 3 – 4 times a week and use no chemical, just plain water is enough and it works great. Thanks for your useful tip. Excellent Post!!! It is useful to most of the people to maintain their wood flooring. We have to mop/clean wood flooring regularly. Then only it will give good look. My wooden floor is massy right now. I’m gonna use those tips. Let’s see how much worth the reading. I totally know what you mean! A good mop is worth the extra money, and, above all, it really can make a huge the difference in the way your floors look after they’re cleaned. Thanks for letting us in on your cleaning hacks! I found this article very interesting. My mom made sure to mop our hardwood floors at least twice a week while I was growing up, but we never had a steam mop. I can imagine how much it would make a difference, though, to add steam to your mopping routine. Maybe I’ll try out what you said and get a steam mop for my floors. Thanks for the review! Getting clean floors is so difficult, but this makes it seem like a breeze. The link you have that goes to amazon is not a steam mop. It is a vacuum. It’s great you finally found an easy (and cheap!) way to clean your floors! Are your floors and mop still holding up nicely? Your blogs helps a lot. Cleaning wooden floors inside the house is time consuming! Thanks for sharing this post. Hi, Rosemarie! still I have a steam mop, and I love it! Wood laminate floorings are reliable, cost effective, easy to clean and easy to install. That’s why i prefer wood laminate flooring instead of hardwood flooring. One secret to making floors look extra shiny is a little coconut oil. I used it one time and it did wonders! Thanks for writing. I love my steam mop! Funny story – my husband decided to use it one day. We didn’t have distilled water – we have hard water here – so he used tonic water! I came home and wondered why the house smelled like cotton candy. He didn’t know there was sugar in tonic water! He spent the rest of the day rinsing the floors until they were no longer sticky. These are great tips on choosing the best flooring! Choosing the right flooring can make all the difference! Thanks for sharing!